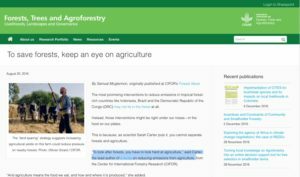 2016 was the year with the most original stories on the CGIAR Research Program on Forests, Trees and Agroforestry (FTA) since its inception. 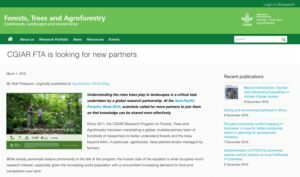 We published interviews with scientists, blogs by scientists and features on certain projects ranging from topics such as partnerships to data portals and agroforestry in India. As the year comes to an end, we have put together a small collection of the stories that were most read. Click on the pictures to read the story. As the pure statistical approach usually benefits the “older” stories, we have also compiled a selection of blogs that illustrate each Flagship and the cross-cutting themes in a second blog. 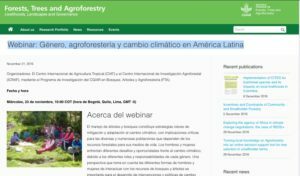 Sarah-Lan Mathez (World Agroforestry Centre) and Tatiana Gumucio (CIAT) organized this webinar on the nexus of agroforestry, gender and climate change in Latin America. 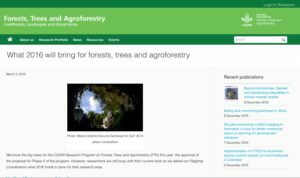 At the Asia-Pacific Forestry Week 2016, FTA scientists called for more partners to join the biggest research program on forests, trees and agroforestry to maximize the spread of its knowledge to governments, businesses and farmers. 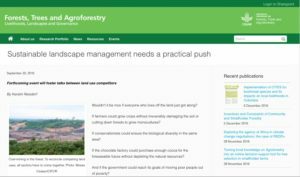 In this blog, we reflected on what’s needed to really implement landscape approaches and on cases that brought stakeholders in land use together to make progress in collaboration. 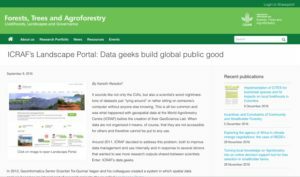 This blog describes the Landscapes Portal, the official spatial data platform for Sentinel Landscapes project of FTA. All datasets generated in the ten Sentinel Landscapes that are currently in the database will over time go up on the Portal, which already holds about 150 unique datasets from these landscapes. 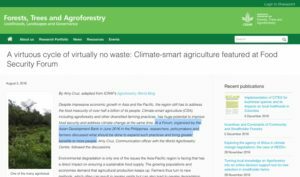 At an Asian Development Bank Forum in June 2016 in the Philippines, researchers, policymakers and farmers discussed what should be done to expand Climate-smart agricultural practices like agroforestry and thus bring greater benefits to more people. 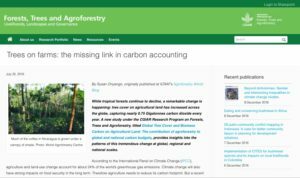 Climate-smart agriculture is also a key aspect of this blog that argues that one should not separately look at emissions from forests and agriculture but consider the interactions. While tropical forests continue to decline, a remarkable change is happening: tree cover on agricultural land has increased across the globe, capturing nearly 0.75 Gigatonnes carbon dioxide every year. 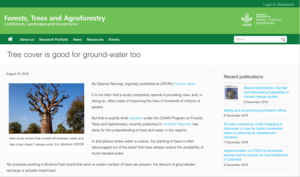 FTA scientists working in Burkina Faso found that when a certain number of trees are present, the amount of groundwater recharge is actually maximized. 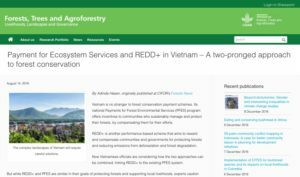 Vietnamese officials are considering how the the existing Payment for Ecosystem Services system can be combined with Reducing Emissions from Deforestation and Forest Degradation (REDD+). At the beginning of the year, we asked our Flagship coordinators to give us an update on their research activities this year.